Edinburgh’s general attitude to urban art took another step in the right direction (from our perspective!) with the start of the Shutter Project as part of the LeithLate 2012 festival. The project aims to transform 6 of the drab looking security shutters belonging to small businesses in the Leith area of Edinburgh over the next few months. 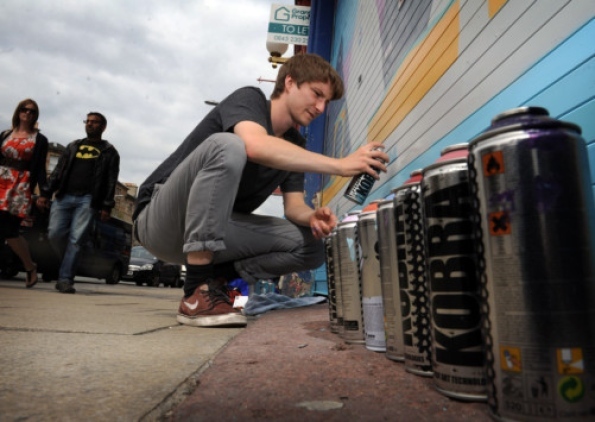 So far the schedule shows a new shutter being painted every 4 – 6 weeks, but this could change depending on the collaboration between artist and business. 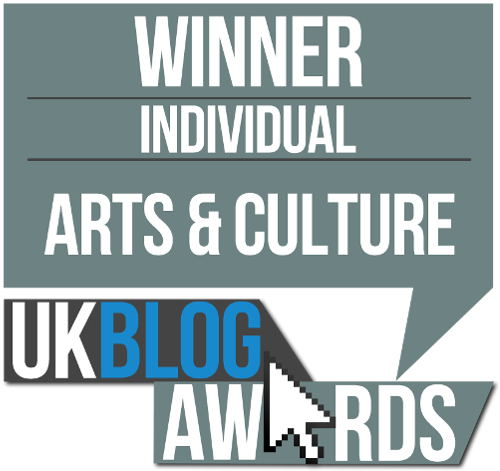 The project, conceived by Sarah Woodford, town centre co-ordinator for Leith and Portobello, and sparked by rising arts figurehead Morvern Cunningham, has its aims set in providing a worthwhile opportunity for the artist, as well as a relevant piece of work for the business owner and, importantly, the people of Edinburgh. When speaking to the Edinburgh Evening News, Morvern explained that, ‘this [project] is … not just about the artists slapping a piece of their artwork onto any old business, it’s about them working together with the business owners and having some sort of compromise where the artist feels that the work that’s on the shutter is exemplary of their practice but it’s also something that the business feels represents them in some way’. 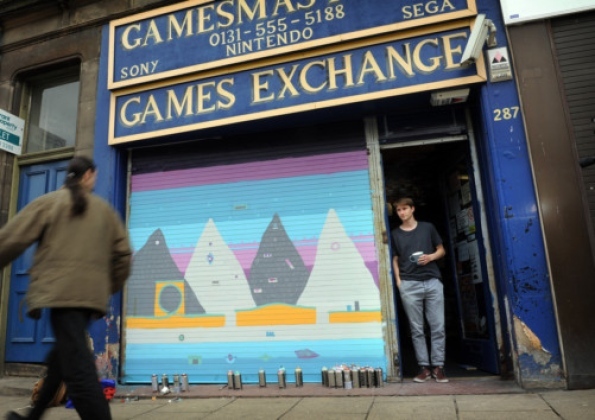 Jamie Johnson, the local artist chosen to paint the first in a series of shutters certainly provided an apt piece for the owner of the ‘Gamesmasters’, a small independent video game exchange. The shutter represents a dream like amalgamation of various video games (such as Super Mario and Sonic) that form a significant portion of 80s/90s kids memories. Well at least ours anyway!